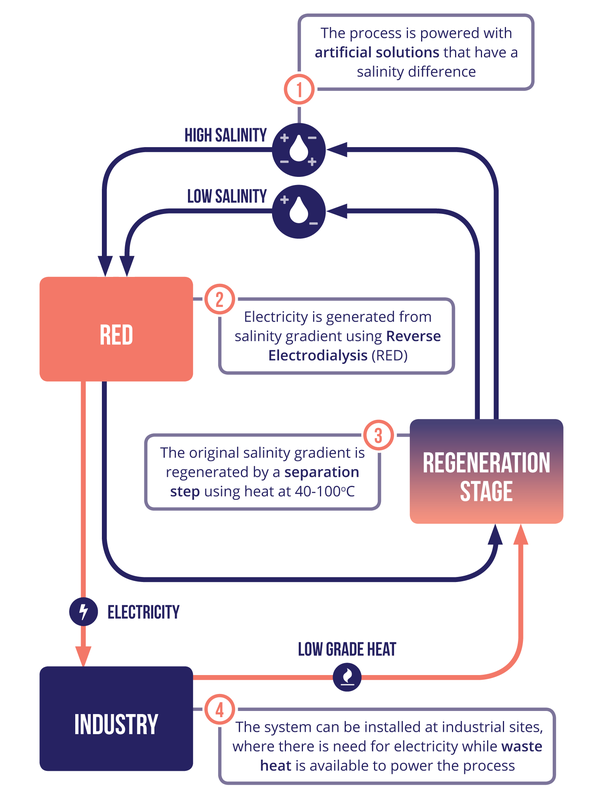 The concept is based on the generation of electricity from salinity gradients using a Reverse Electrodialysis (RED) device in a closed-loop system. In this concept, limited amounts of artificial saline solutions are used as working fluids. The solutions exiting from the RED unit are then regenerated, in order to restore the original salinity gradient, by means of a separation step, which uses low-temperature heat as its energy source.